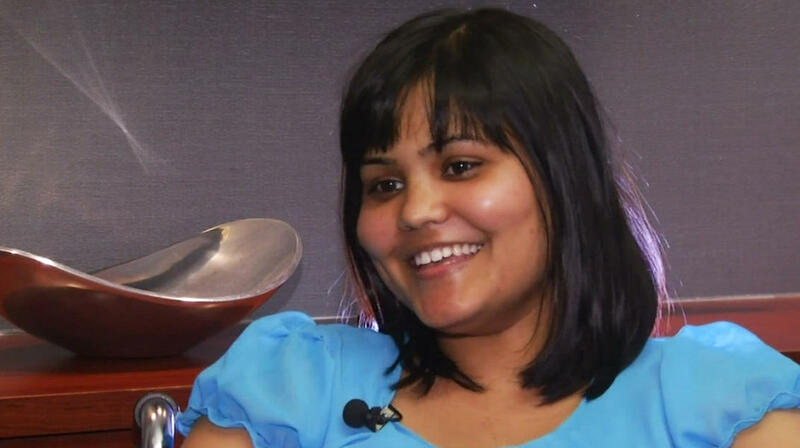 Indiana Ph.D. student Yamini Karanam got the surprise of her life last week when doctors found an embryonic tumor twin in her brain. Her problems started last fall when she couldn’t concentrate or comprehend what was going on around her. She went to doctor after doctor, but they couldn’t agree on the problem. She ultimately got help from a Los Angeles-based doctor who removed the tumor. Once Dr. Hrayr Shahinian at the Skullbase Institute removed the tumor he found that it was a twin with teeth, bone and hair — medically known as a teratoma. It’s officially known as a type of tumor made of cysts that contain at least one layer of cells found in a growing baby. “This is my second one, and I’ve probably taken out 7,000 or 8,000 brain tumors,” Shahinian told NBC News of the rarity of such a tumor. They’re baffling to the medical community, though some experts believe they’re the product of twins that never develop and are absorbed into the remaining twin’s body, according to The Washington Post, and they can develop anywhere, including the abdomen, chest and ovaries. Some can even have muscle and actually look like a fetus. Doctors aren’t sure if the teratoma found in Karanam’s brain was actually her “evil twin,” as she called it, but they do know it’s benign and she’ll recover in just a few weeks.